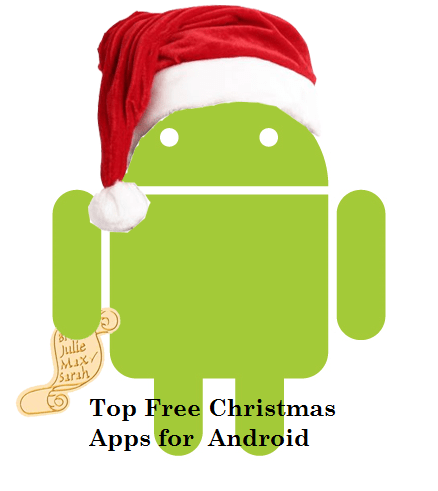 With Christmas just Round the corner there is a lot of buzz about the latest and the top free Christmas apps in Android Play Store. Here we are going to list out the best 5 Christmas Apps for all Android devices in Samsung, HTC, LG, Micromax, Motorolla, Nexus and Andorid tablets as well. We are listing some of the top Christmas Apps which have Games, Live Wallpapers, fun apps, Countdown timers etc for both your kids and Adults. All these apps listed here are Free and will not affect your pocket this Christmas with a lot of Spending to do on Gifts, decorations, greeting etc. This is a must have app for all Android Users. This is a Live Wallpaper for Android devices which will show a Christmas Tree with lights colorful background and Snowfall. 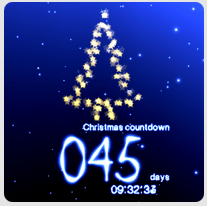 This app also has a feature of tap on Christmas Countdown to begin a particle explosion. You can also edit some features like remove the Countdown timer and just have the Christmas tree with 8 different types of trees. This is a simple fun game which will help you and your kids complete simple tasks and also keep track of your Christmas Countdown. 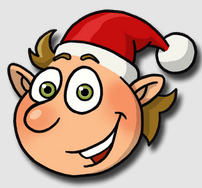 This is a story told by the ELFS who are preparing for this years Christmas and there are 23 doors which have some simple tasks and small trivia about Christmas. 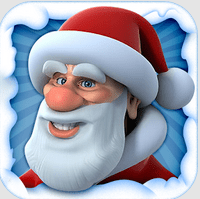 have this App which converts your words and sentences into Santa’s Voice. It is similar to the Talking Cat which is very famous. Christmas brings with it the joy of singing Christmas songs and carols. The most famous being “We wish you a merry Christmas” and “Jingle Bells”. Here is a App which will let you Sing the Christmas Songs with Lyrics. 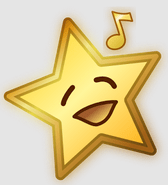 This is a very good App for your Children to learn the lyrics and meaning of the Christmas songs. Christmas is all about Giving gifts and getting gifts. This App comes with some helpful features like Track spending Gift cost tracking, Track gifts purchased, gift mailed and gift wrapped for each person, take notes of Gifts which you like for each person on your List. This app will really help you make a planner for your Christmas and keep track of your Money Spent and divide your budget accordingly. I find this app, kind of listing of a lot of christmas apps for Android. Didn’t manage the time to dive into it.